Check out the Society’s Museum at the McNicol Homestead - Just across the river from the Clevedon bridge. Opening hours are 1 – 4pm weekends. If you approach Clevedon via the top of the hill on West Road you will see a spectacular view of the Clevedon valley laid out before you and to the left; Clevedon village; first established in the late 1850’s. 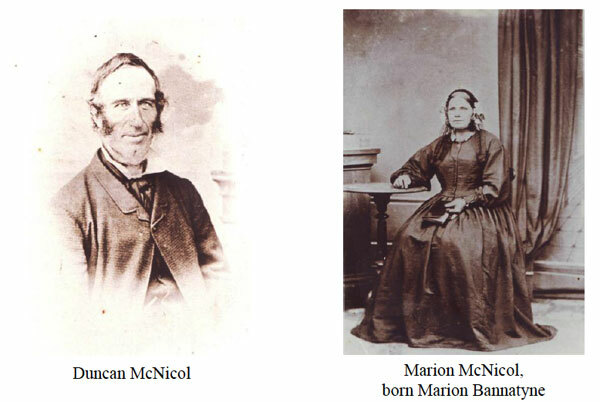 The earliest European settlers were the McNicol and Hoye families who bought land on the East and West sides of the Wairoa River in 1853. On the eastern side of the river and just over the Clevedon Bridge you can see a Cairn dedicated to the settlers; as well as a plaque commemorating the hundred year anniversary of the arrival of the immigrant ship SS Viola in 1865. This shipload of passengers made for a large influx of farmers, miners, carpenters etc to the area and the farmers took over 10 acre blocks of land that had been allotted to them by the Government. 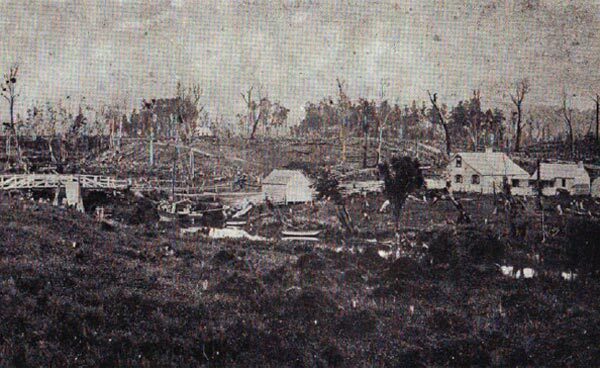 Many others were moved to Papakura and eventually spread out over a wider area. The New Zealand land wars left their mark on Clevedon around 1863. A redoubt was built by the Militia beside the Anglican Church and a stockade constructed by what is now the McNicol Homestead and Museum. There were skirmishes and some deaths from both sides but no major battles. The disruption to settlers however was quite major; wives and children moved to safe havens in Auckland and the stockade providing sanctuary at night for those left behind. But for the Wairoa River Clevedon would not exist as it is today! The only practical access to the district was by way of the river. The tidal (and navigable) extent stops at the bridge and the journey down river to the Firth of Thames takes about one hour. 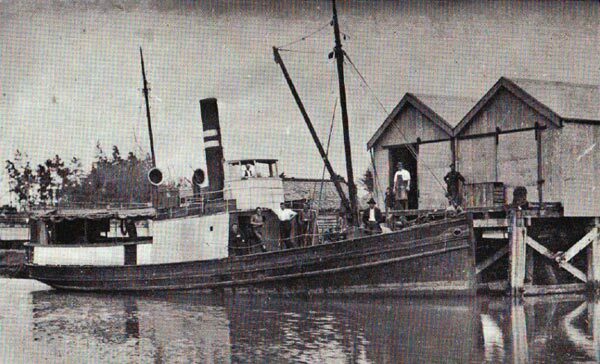 All manner of little ships used to navigate up and down the river carrying farming equipment, produce, (predominately butter, manufactured in Clevedon) and people who needed to visit coastal communities or do their shopping in Auckland. As a rule of thumb it was a twelve hour day to Auckland and return; four hours travelling in each direction plus four hours shopping in Queen Street. The most famous of these ships (and last) was undoubtedly the SS Hirere, built at Devonport for the newly established Clevedon Steam Navigation Company in 1896 to ply its trade in the Hauraki Gulf using the “Port of Clevedon” as its base. This regular service continued until 1928 when the road system was improved to the extent that boat traffic was deemed to be uneconomical. Except for the use of safe berthage for private motor vessels the river returned to its quiet meanderings until renewed interest in the last few years by recreational groups has seen the establishment of a new kayaking club and scenic ferry trips. The then and now provide for a remarkable contrast: working horses for tractors, a quiet Sunday and Church for recreation and farmers markets, a coal range to microwave, dairy farmers to life-stylers, billy tea to high tech coffee machines – and so it goes on. For the historically challenged visitor you could do no better than get your own copy of Yesteryears from the Clevedon & Districts Historical Society. This book is very well written by a local resident, Fraser Murray, a keen historian and author who describes local history in a way that entertains, but more importantly transports the mind into an era largely forgotten. It soon becomes apparent that humour, resourcefulness, hard work, an ability to both rely on and help your neighbour plus the inevitable kiwi pioneering spirit provided a mix of skills essential to survive a difficult transition from what most were previously used to. Check out the Society’s Museum at the McNicol Homestead - Just across the river from the Clevedon bridge. Opening hours are 1 – 4pm weekends.